A recent news story disclosed that Howard County police officers were required to write a predetermined number of tickets each shift. Judge throws out DUI case, saying police had quotas – Howard County police chief calls ruling a bad decision. According to the story the Howard County Police Chief was quoted saying that a federal grant to aide enforcement of traffic laws required officers average 2-4 citations per hour on the street. As a result the District Court for Howard County granted a defense motion to dismiss the charges. In future cases, defense lawyers must find out if their clients’ stops were made by officers operating under a quota, as reported by a follow up story. Drunk-driving quota case may lead to similar efforts elsewhere – Prosecutors look at possible appeal as defense lawyers suspect issue may affect other cases. 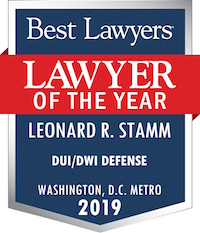 Leonard Stamm, a Prince George’s County lawyer who wrote a legal handbook called “Maryland DUI Law,” said the case puts lawyers who defend people charged with drunken driving on notice for a potential avenue for defense. Though as a District Court ruling it has no bearing on other cases, defendants coming before other judges can bring it up. “Now that it’s out there, it’s something you have to look for,” Stamm said. 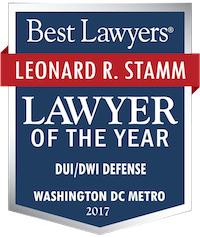 If you are facing serious traffic charges in Maryland state or federal court, call Leonard R. Stamm or Johanna Leshner of Goldstein & Stamm, P.A. at 301-345-0122 for a free consultation.